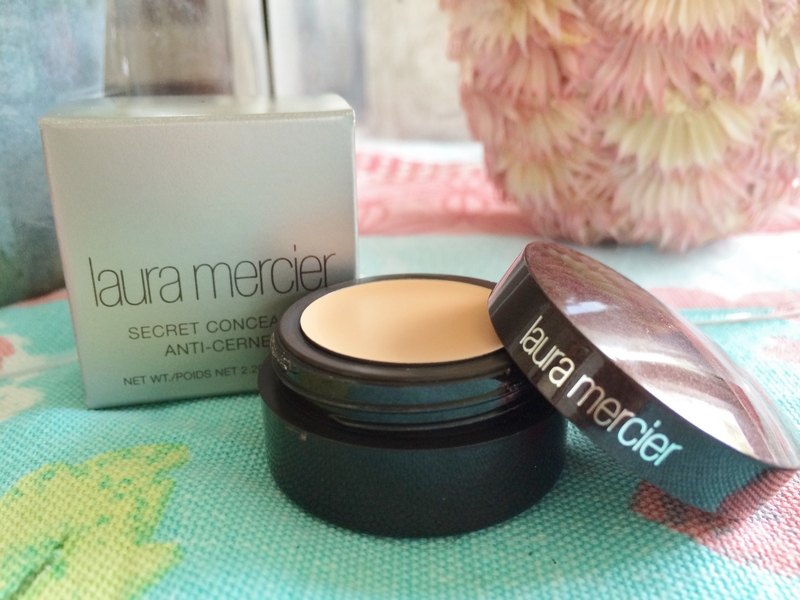 Every now and then a product comes along that leaves you questioning ‘where the hell has this been all my life?’ One such product is Laura Mercier’s Secret Concealer. When it comes to creamy concealers I have always been a Bobbi Brown girl. That stuff is great at wiping out dark circles, but I find that it creases too much after a little while due to its cakey consistency. At the beginning of the year I was looking for a replacement and stumbled upon Laura Mercier’s version. I must admit my hopes weren’t too high as any creamy concealer I have used before has done the same as the Bobbi Brown version, left me with caking. As soon as I felt the consistency of Laura’s secret concealer however I knew caking wasn’t going to be an issue. This stuff is so smooth and light. It doesn’t drag along the skin like other versions and as soon you set it with a good powder it stays put. The absolute clincher for me though is how bright and refreshed it leaves the under eye area. Just a quick heads up, there is a Secret Camouflage and Secret Concealer. For under your eye you definitely want to go for the Secret Concealer as like I say it’s lighter and blends easier for that delicate area. The Secret Camouflage is a lot thicker and is definitely better suited to areas of pigmentation that you may need to hide. I have recommended this stuff to so many different people of different ages and they have all reported back with great results. My Mum for one is a massive convert and swears by this stuff. If you’re looking for a great all round concealer then you should definitely give this stuff a try! Look out for a tutorial soon. This is my absolute fav under eye concealer. My cousins are big on Bobbi Brown concealer, but it wasn’t a match for me. During the makeup counter trial, it looked great on dark circles… at first. Then it just creased and caked, and I was over it. I’m just now discovering the wonders of Laura Mercier, starting with the tinted moisturizer, loose powder, and caviar shadow stick. I love this concealer! When I used to work at Sephora it was a best seller for me. Now I make sure to keep it in my professional kit.